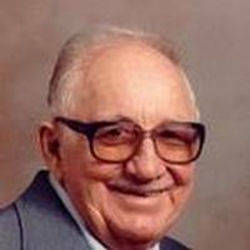 Kenneth L. Schwartz, 86, of Atlantic, Iowa, passed away on Thursday, July 5, 2007, at the Atlantic Nursing and Rehab Center in Atlantic, Iowa. Kenneth Lloyd Schwartz was born on March 17, 1921, in Wessington Springs, South Dakota, the son of Leo Neil and Lillian Rosetta (Dillinger) Schwartz. He served our country in United States Army during World War II. On June 19, 1942, he was united in marriage to Evelyn Lutz in Chadron, Nebraska. Kenneth and Evelyn lived in Hot Springs, South Dakota until 1958 and Rapid City, South Dakota, until 2003. They then moved to Atlantic in May of 2003 to be closer to family. Kenneth was a contractor/carpenter in new buildings construction and home repair and remodeling. He was a member of the Local and State Contractors Unions. Kenneth was a member of the Methodist Church in Rapid City, South Dakota. He was also a member of the VFW and several other civic and national organizations. He is survived by his wife, Evelyn of Atlantic, Iowa; his son, Charles Schwartz and his wife, Barbara of Vermillion, South Dakota; his daughter, Margene Hill of Atlantic, Iowa; one sister, Beverly Gallegos of Buffalo Gap, South Dakota; a sister-in-law, Janice Schwartz of Wessington Springs, South Dakota; three grandsons, Matthew Schwartz of Sioux Falls, South Dakota, Richard Hill and his wife, Michelle of Schaumburg, Illinois, Tony Hill and his wife, Kirsten of Minneapolis, Minnesota; three granddaughters, Mara Schwartz of Orlando, Florida, Nadine Jessen and her husband, Micah of Exira, Iowa; Tessa Acker and her husband, David of Aurora, Illinois. Also surviving are nine great grandchildren, Amanda, Steve and Monica Jessen, Alec, Marcus and Abby Hill, and Madeline and Erik Hill, and Benjamin Acker; as well as several cousins, nieces and nephews. Kenneth was preceded in death by his parents, Leo and Lillian Schwartz of Hot Springs, South Dakota; brother, Kurt Schwartz of Wessington Springs, South Dakota; and a sister, Helen Schwartz Flanagan Milo of Hot Springs, South Dakota. His son-in-law, K.R. Hill recently followed Kenneth in death on Saturday, July 7, 2007. Funeral services will be 2:00 p.m., Monday, July 9, 2007, in the Chapel at Hockenberry Family Care in Atlantic with The Reverend Christine Tinker of the Lewis United Congregational Methodist Church officiating. Committal services and interment will be in the Atlantic Cemetery.